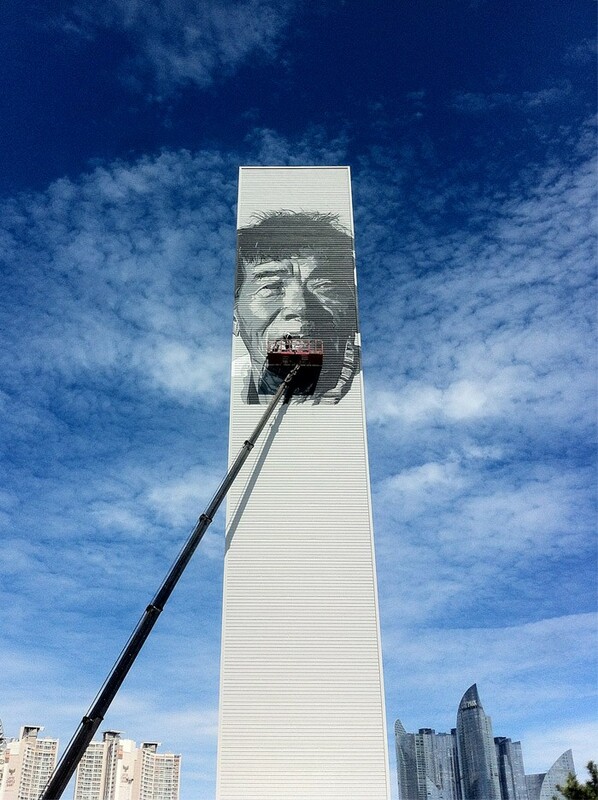 During the last week of August 2012, German painter Hendrik Beikirch, created not only a stunning work but an iconic piece that stretches over 70 meters (230 ft.) high and is yet to be considered as Asia’s tallest mural. 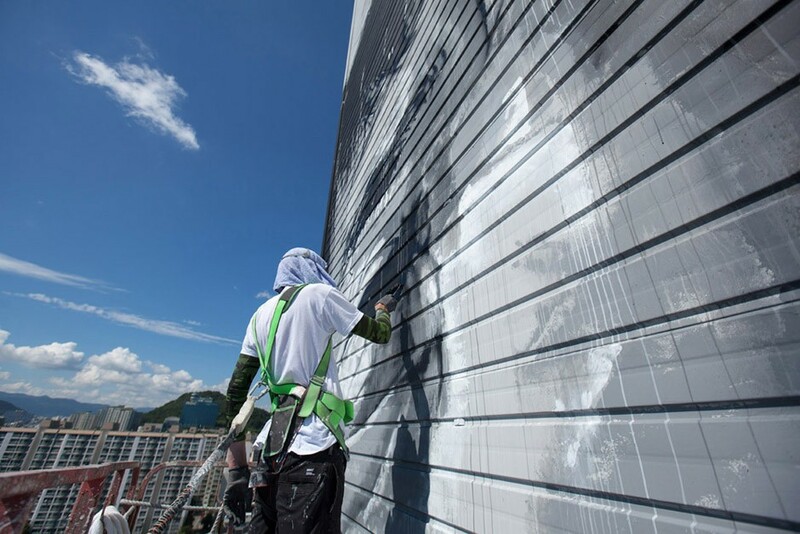 Located in South Korea‘s second largest city, Busan, this piece showcases a monochromatic mural of a fisherman, set in contrast with the Haeundae I’Park building at the background, constructed by renowned architect Daniel Libeskind. The Haeundae I’Park is a residential building and is also a symbol for the rapid development and accumulated wealth in Korea, a poor country not too long ago. 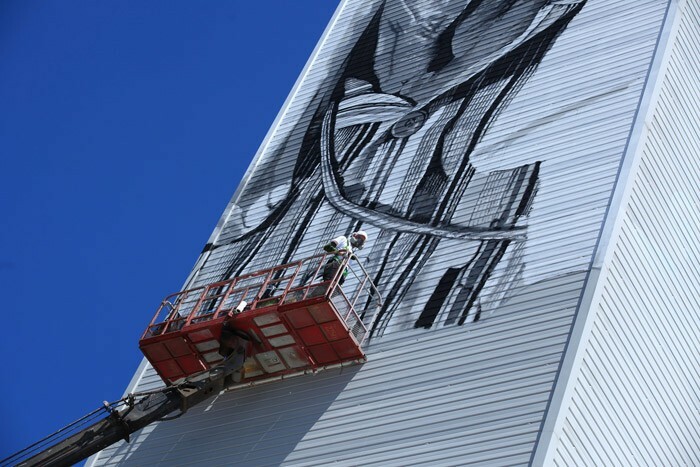 The mural that depicts an image of a fisherman represents a significant portion of Korea‘s population that has not been affected by the economic growth and until now, lives under very different circumstances compared to their affluent neighbors. The mural presents a local fisherman in his 60’s, staring into an intangible space with his face marked with wrinkles, still wearing long plastic gloves – a sign that there are still men and women like him at this age working for a living. This dying profession entails six to seven days of work in a week, under difficult circumstances, while just receiving a minimum amount of financial support, just enough to buy certain needs. Beikirch is known for his artworks set in monochromatic and detailed painting and this is no difference. 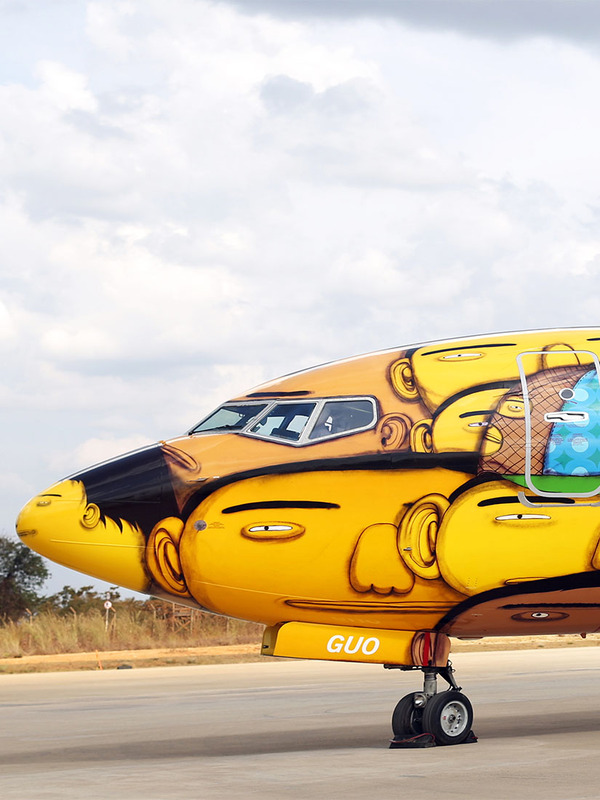 Unlike other artists, he painted this mural without using a projector or a sketch on the wall. This, in its true form, is a masterful performance and a task that requires enormous routine and outstanding precision. 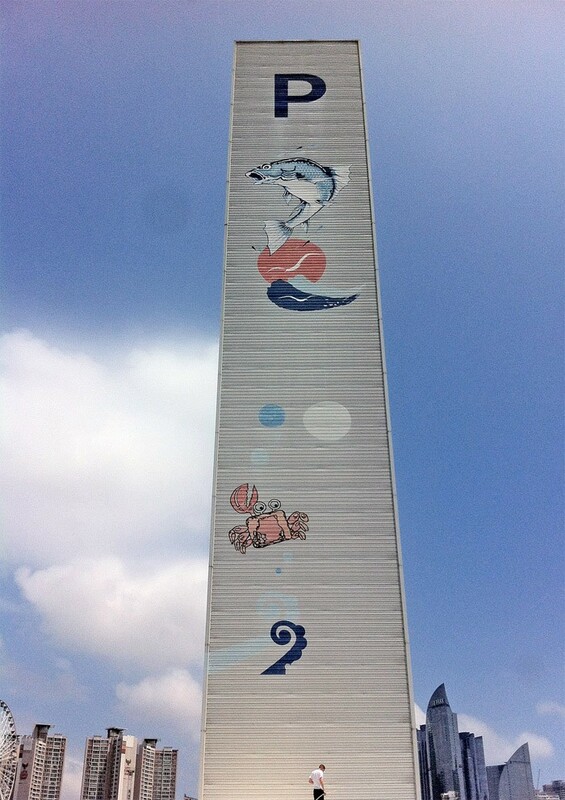 The painting is applied on the building of Busan‘s fisher union. It is located between Korea’s two most famous beaches, Haeundae (해운대해수욕장) and Gwangalli (광안리해수욕장), clearly visible from the latter. Over the past years, both beaches turned into excessive commercial areas and became heavy motors for the city‘s tourism, attracting mostly Korean, Japanese, Chinese and Russian travelers. The building is also home to a fish market that provides the prosperous inhabitants of Busan, like those living in the Hyundai I’Park building, with Korean style raw fish (hoe, 회), a pricey delicacy that is similar to Japanese sashimi. Hendrik Beikirch (b. 1974) is a German painter well known for his series of large monochromatic wall paintings that often show portraits of older people, visibly marked by life. In order to create these works, Beikirch secretly takes sketches of strangers whom he encounters on his travels, noticing them for their aura and expression between hope and struggle. 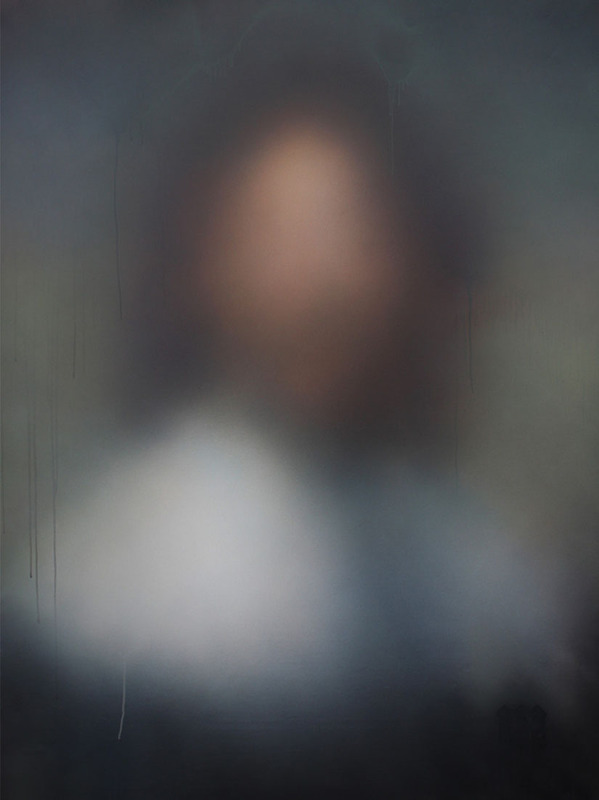 This inspired the title of his on-going series “Faces of Hope and Struggle” and runs seamlessly on the canvases of Beikirch, which mostly displays the same frontal view of unfamiliar people. He deliberately distances himself off from the polished and artificial aesthetic of advertising, which has now occupied major parts in public space. 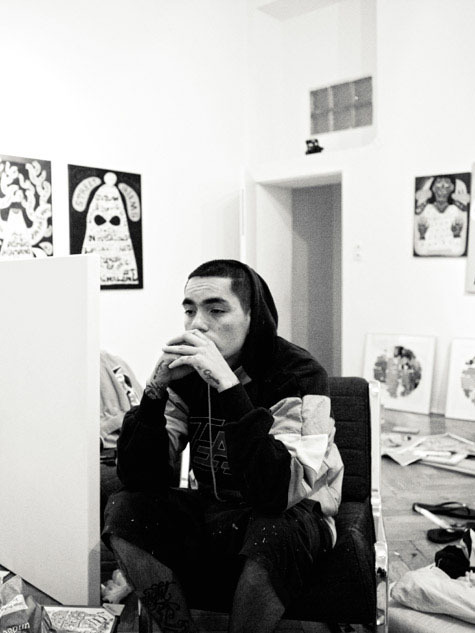 Beikirch always works with a reduced color palette, and therefore the high recognition factor ensures that viewers now can easily find walls by him all over Europe, Canada, the USA, Mexico, Chile, Australia, Taiwan, Hong Kong, Thailand, Russia and other countries, all painted in the last 15 years. This project would not have been possible without the support of The Busan Cultural Foundation, The Arts Council Korea, Busan Metropolitan City, Indie Culture Network AGIT and Suyeong Local Government. MBC, the oldest and one of the major commercial Korean broadcasting companies, is the main media partner. All images by Public Delivery/publicdelivery.org unless otherwise noted. 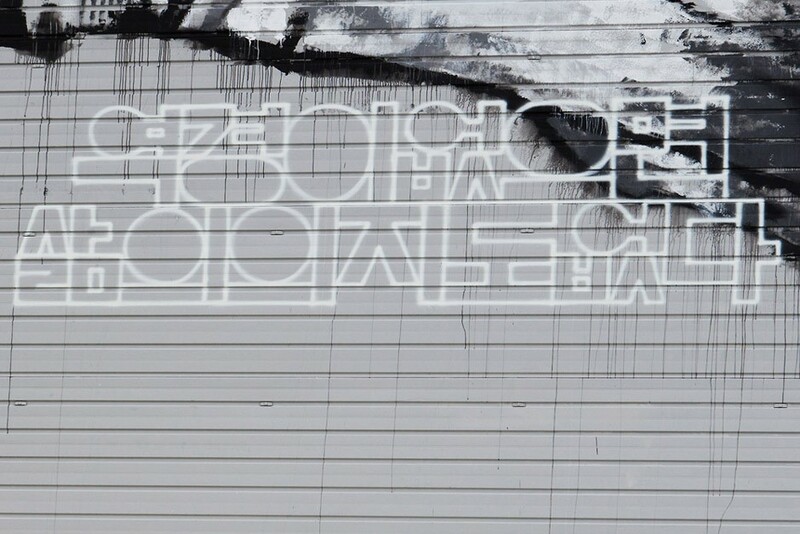 Posted on September 5, 2012	in the category Painting and tagged 2012, Art in Busan, Art in Korea, Art in South Korea and by South Korean artists, Hendrik Beikirch, mural, outdoor, public art, Public Delivery. 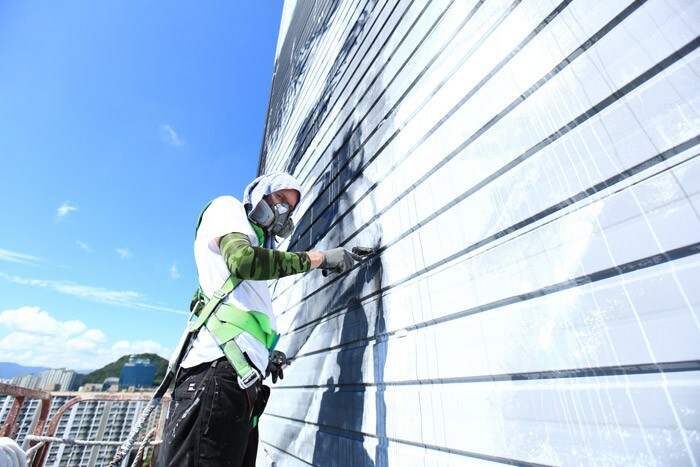 16 Responses to "This is Asia’s tallest mural (70m+)"
großartig was Du machst. Alle Achtung – In dieser Dimension ein solches Wandbild zu gestalten ist einzigartig und faszinierend. Wir sind beeindruckt. Wir gratulieren zu Deiner großartigen, guten Leistung. Haben uns gerade mit deinem Vater unterhalten und daher nun die Bilder aufgerufen. Toll!